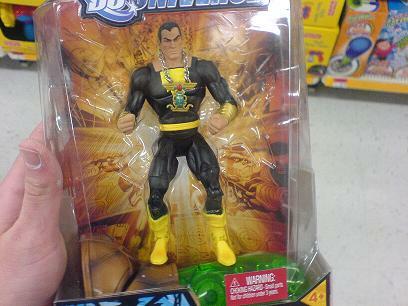 Toyark staff member deceptifocus has found DC Universe Classics Wave 9 at a Wal-Mart in Texas! While he was there, he snapped a quick pic for us (see left). So grab some cash and let the hunt begin! 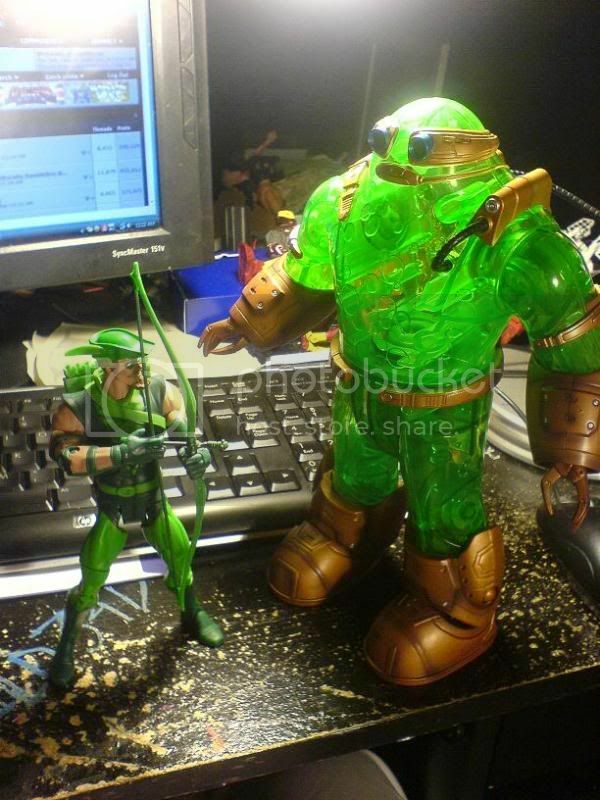 Don’t forget to post your own toy finds in our Sightings forums and help out our fellow Arkers! Discuss on the Toyark Forums› Views: 3498 › Credit: deceptifocus of the Toyark Forums! just snapped the one pic b4 leaving tho, more when i or someone else gets them..... CHEMO looks awesome tho! Oh God, NO MORE FACES PSYCHO PIRATE! 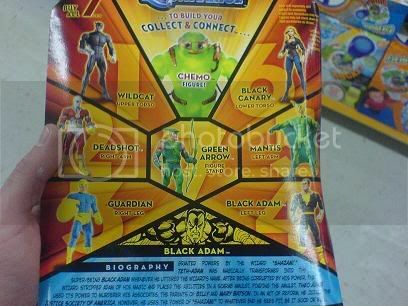 Buying Black Adam on the spot, same with Green Arrow, maybe Wildcat and Deadshot. I found the whole set and the gotham city 5 today at the local Walmart. I'm in Indiana. I still need the classic version of Mantis. That's the main figure from the whole wave that I want. Is it very hard to get a full set? Oh, good. Deadshot's not shortpacked, so I might have a shot at getting him. Although, my prediction for the hot figure of the line is Black Canary. That was the exact same case breakdown they had put out when I got my set. I am in texas right now and can't find them anywhere. and at home, florida we are alwasy the last to get anything. No way. NY is the last to get everything. I was just at my local TRU and they were putting out Clayface/Batman's and that's the FIRST time I've seen them retail. What part of FL do you live in? I live in Miami and on occasion have been fortunate enough to find stuff a week or two before others. 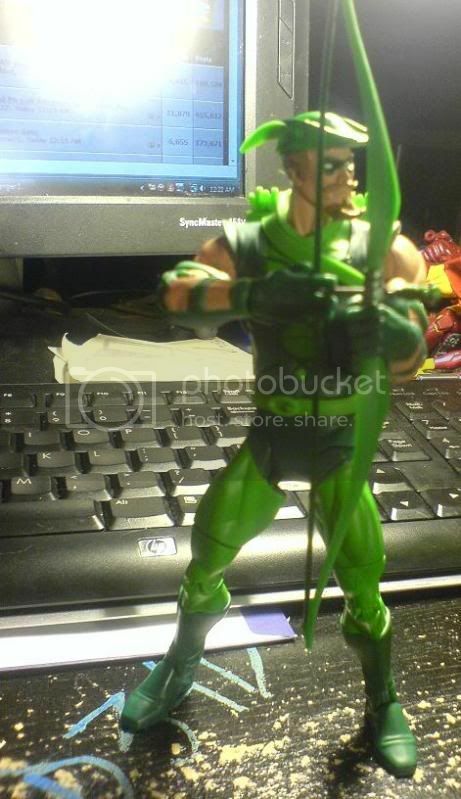 Deceptifocus, that Green Arrow looks nice. Can you post some pics of Black Canary? She is the one I really want. How did she come out? Ghost Story, what part of the state you in? i ohnestly think i got lucky on getting these guys, all the other WMs have waaaay too many shelf warmers to put them out on the shelf even if they have them in the back. 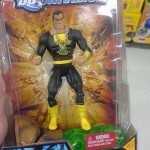 Shankz, where about in Indiana I have been hititng Walmarts looking for the 3 figures I need from wave 8 for weeks. I did buy a Guardian at my local TRU. 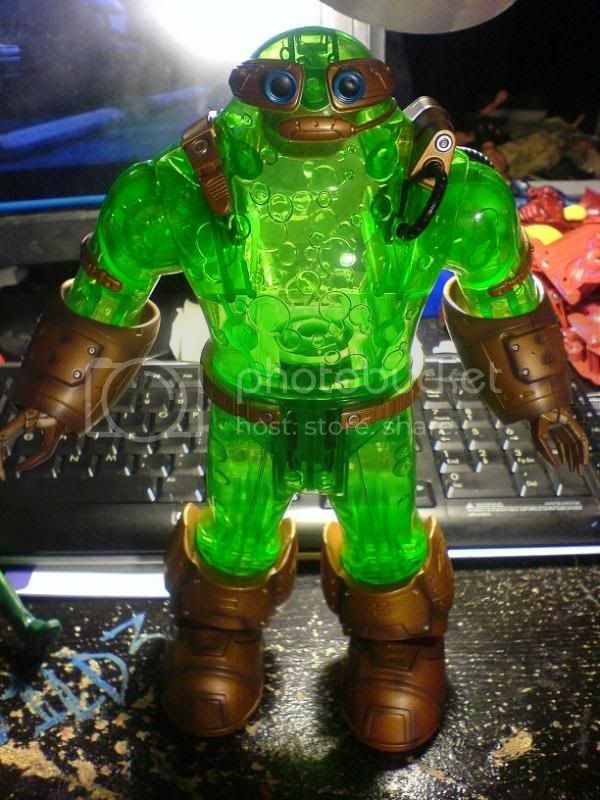 i am jealous--I have yet to find any wave 8 at any retail store. I personally think chemo is the coolest build a figure dcu has put out. This is a zombie thread last active 26 months ago, let it stay dead please. If Wave 9 had been found at retail within the last 60 days, THIS would be noteworthy. oh, I didn't see the dates. My bad. I've seen Black Canary with the Chemo part recently, does that count? I think this is pretty valid. No Black Canary fans in your neck of the woods?